We returned from the Lake District at the start of November, so a few landscape photos are waiting to be processed and possibly turned into a short audio-visual sequence. I did not actually take that many photographs this holiday compared with previous visits. Perhaps I'm taking on board this "mindfulness" idea! Actually I hate that word, and all the bandwagon books, magazine articles, even courses that have sprung up under its guise. Because we were travelling back we missed the Terry Chapman Trophy, an inter-club print battle between 10 east midlands (mostly Northamptonshire) clubs. My club tied for 1st place but lost out on the tie-breaker. We hosted a print and projected image battle with Rushden and District PS, which we lost by 9 points. 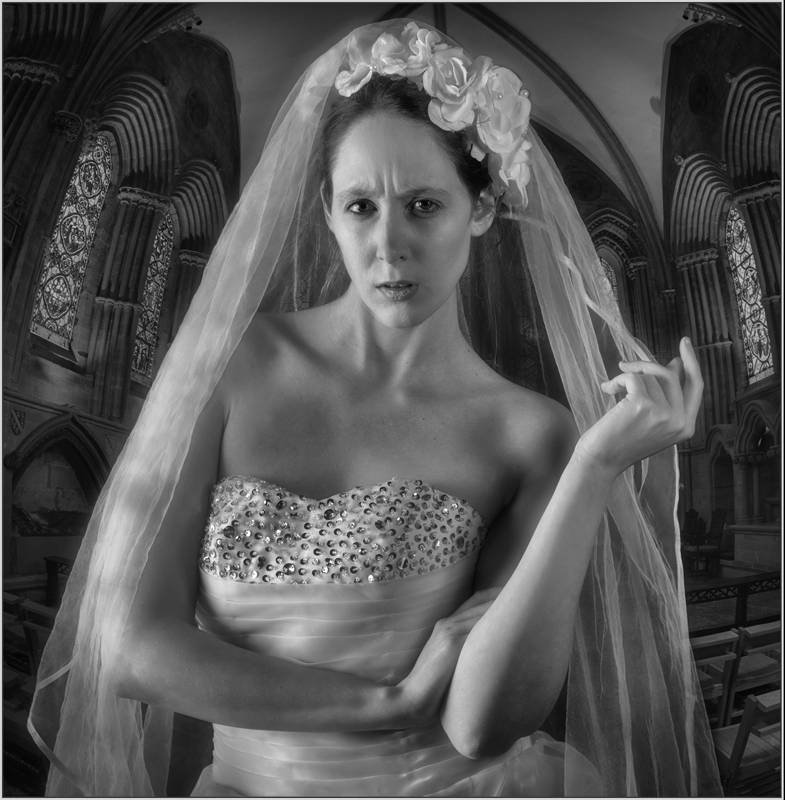 I heard that my "Bride With Attitude" had been accepted in the 2018 Guernsey Salon, but I also amazingly achieved an acceptance total of 5 out of 8 images submitted to the Smethwick National exhibition - my highest success rate ever.. I did some judging at Market Harborough Photographic Society and Daventry PS. The East Midlands Monochrome group had a discussion evening, and I took along 4 of my monochrome portrait prints. We also had an evening viewing some projected images sent to us from the Crown Monochrome Group. At the Desborough and Rothwell PS we had an illustrated talk "A Walk On The Wild Side" by Richards Adams from Oakham, and a talk entitled "More Together" by Carol and Peter Cheetham from Long Eaton. Having used my free Nik software for a year or two I finally decided to pay for and download DxO's version on Black Friday - we need to keep these guys in business and updating this software because it's fabulous.